can have numerous benefits on your life - allowing you to become more confident, happier & successful. One of the key features of Creative Visualization is the profound impact it has on your subconscious mind. Visualization is perhaps the fastest way to directly influence the subconscious, particularly when producing Alpha Brainwaves using the Creative Visualization MP3. So… what exactly is the subconscious mind? And why should you invest the time in nurturing the relationship between your conscious and subconscious mind? 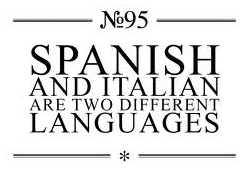 This comprehensive article will explain all… and show you how to do it.. Your subconscious mind is the part of your brain which does everything you are not conscious of - everything from accessing memories to tying your shoelaces. The subconscious is an incredibly powerful entity, which can run thousands of essential tasks automatically; & at the same time. It pumps blood to your heart, blinks your eyes, digests your food, regulates your blood pressure, controls your heart-rate… and so much more. Your subconscious also provides you with new thoughts & ideas, helps you make new discoveries, and creates new forms. All "insights" and "ah ha" moments originate from the subconscious mind. It is a storehouse of creativity and potentiality. A good analogy for the mind is that of an iceberg. The tip of the iceberg, visible over the water, is the conscious mind. We'd be forgiven for forgetting that there's anything else there at all - it's so easy to be consumed by "what's going on" inside our heads. 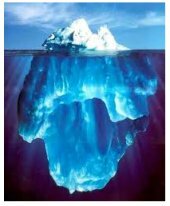 The subconscious mind, however, is the 90% of the iceberg which is hidden underwater … but which possesses the majority of resources and power. STOP for a moment to dwell on the fact that you have access to unlimited power - you just gotta learn how to harness it. infinite power and an infinite supply of all that is necessary"
Carl Jung also believed that there was such a thing as the "Collective Unconscious" - a place where EVERY PERSON's subconscious mind was in connection with one another. This was the source of new ideas & breakthroughs, Jung argued. Others believe in the subconscious provides a direct link to "Infinite Intelligence" - i.e. the "energy" that powers the universe - i.e. God. Check out Think & Grow Rich by Napoleon Hill for a good explanation of this. Famous thinkers like Einstein & Edison believed this to be the case, too, which ups the credibility further in my eyes. A further argument suggests that you cannot succeed in any endeavour until your subconscious mind believes that you will. NOTE: A great way to influence your subconscious mind is creative visualization - particularly in Alpha Brainwaves. If you don't want to learn how to do this (i.e. learn how to meditate), you can read my review of the Creative Visualization MP3, which does this naturally for you. It feels relaxing & exciting, too. "All your experiences, events, conditions, and acts are produced by your subconscious mind in reaction to your thoughts. Remember, it is not the thing believed in, but the belief in your own mind that brings about the results"
In other words, whatever you think about habitually makes its way down to your subconscious mind. And what you believe at a subconscious level has a dramatic impact on everything that happens to you! This can be summarised succinctly as, "the world within creates the world without"
The impact of this statement should not be undermined, although it can be difficult to appreciate how profound it is at first glance. Effectively, to put it another way, you can change your experience of life by changing what you think & believe. This is another way of looking at The Law of Attraction. "Your conscious mind is the Captain of the ship. conscious mind believes and accepts as true. 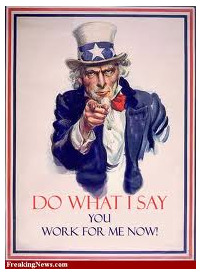 It does not question the orders." In other words, if you are experiencing less than you desire from life, it is because you have created those circumstances yourself, by your own negative & disempowering thoughts & beliefs. Sorry it that seems harsh. You see, when you worry about "what could go wrong", you are inadvertently sending the wrong targets to your subconscious! You're telling it to go and get what you're thinking about - & when you couple this with a strong emotion of anxiety, it rushes to those bad circumstances your reality! D'oh. 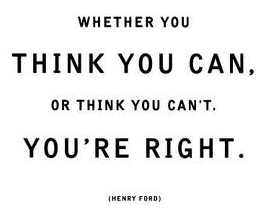 Conversely, to improve your results, you simply give your subconscious mind better orders! As Ralph Waldo Emerson wisely & profoundly noted, "Man is what he thinks about all day long". 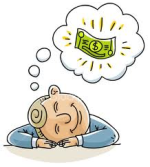 The least effective way to change your subconscious programming is with "positive thinking". This can be defined simply as replacing negative thoughts with more empowering ones. One problem is that this is exhausting, time-consuming, and ultimately... quite ineffective. 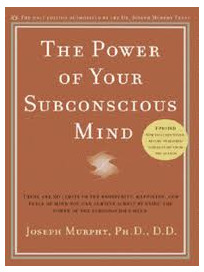 But more importantly, your subconscious mind "speaks a different language" to your conscious mind. It understands pictures, symbols & emotions much better than it understands words. To fast-track the process of change, we must speak to the subconscious in the language it is fluent in - and that's where creative visualization comes in. It's all about pictures, symbols & emotions - Boom. Creative Visualization really seems to be the ultimate tool for creating subconscious changes. First, you typically produce Alpha Brainwaves when you visualise, known to be the "backdoor" to the subconscious mind. Simply put, you are in the best possible "state of mind" to make changes at an unconscious level. Secondly, when you create vivid images inside your imagination, you are providing a very clear "target" to your subconscious. It then works on this target without conscious effort! Thirdly, by creating strong, positive emotions, you make an even deeper impression on your subconscious. The more realistic the emotions, the better results you'll see... and the better you'll feel all day. The most important thing to do - if you want to influence your subconscious to bring you more happiness, peace & success - is start a visualization practice. Just a few minutes a day will initiate changes at a subconscious level. You can learn how to visualize here. Within a few weeks you will almost certainly feel profoundly different. Just commit to giving it a try - to see what you are actually capable of! By using the Creative Visualization MP3, you are guaranteed to enter Alpha Brainwaves every time - making the subconscious changes easier, faster and more profound. You'll also find it a lot easier to relax & create vivid pictures. 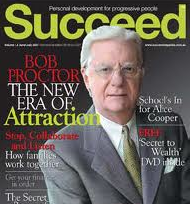 If you feel like you need a rather extreme overhaul of your subconscious beliefs, a great program I use is Bob Proctor's 11 Forgotten Laws. It's a collection of 11 Lectures on Success, lasting maybe 7 hours or so in all. There's also books, videos & other "extras" to help you dramatically change your mindset. Simply by listening regularly to these MP3s, you will adopt new, empowering beliefs - and put yourself in the best possible situation for wealth and success. You can catch an inside look here. As I said, I listen to this often - most days in fact. Go read the blurb; get all the details now!